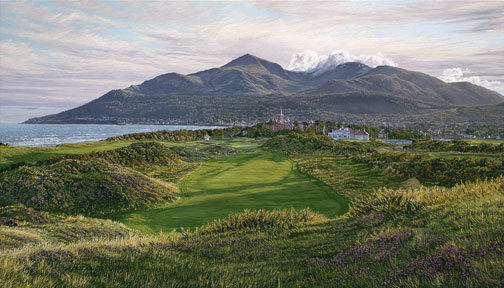 Nestled in the huge sand dunes beside the sleepy town of Newcastle is one of the oldest golf clubs in Ireland, Royal County Down. 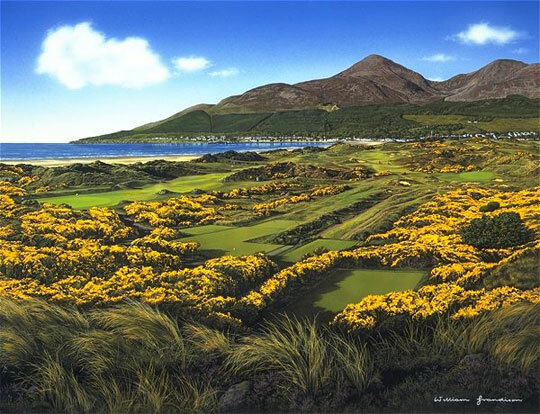 Founded in 1889 by the legendary Tom Morris, this championship course is a golfing feast of epic proportions, continually remarked upon for its outstanding beauty. Image size: 26 7/8"w x 15 1/2"h.
From Sean of Philadelphia, Pennsylvania on 3/22/2005 .